Holme Grange School has received two National Awards ‘Best Use of the School Farm in the Curriculum 2018’ and ‘Best School Farms Project 2018’ from The School Farms Network Education Alliance and a Silver Award for Wokingham in Bloom 2018. The School Farm Awards 2018 are designed to celebrate and recognise the achievements of school farms, their schools and students from across the country. 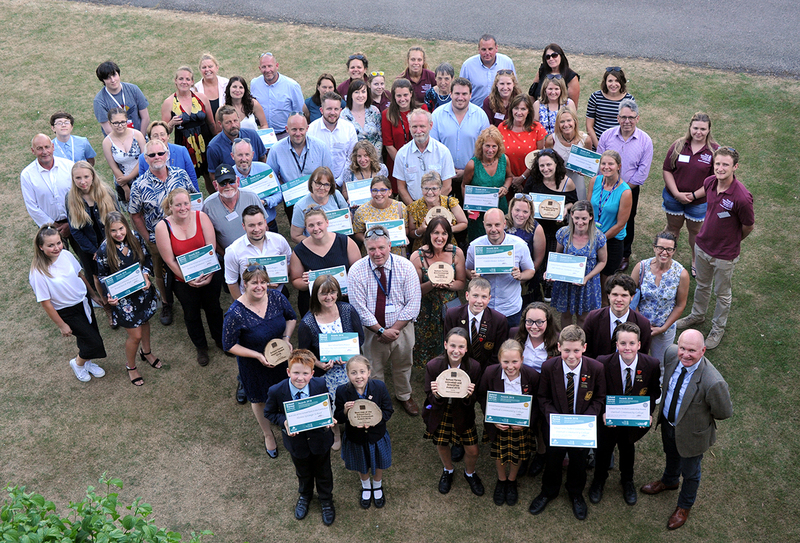 For 2018 there were 7 award categories and out of an impressive field of submissions, 17 schools were shortlisted and invited to the ceremony to find out if they had won the coveted winner’s plaques. Holme Grange was delighted to walk away with 2 prestigious awards at this event. Two Holme Grange students, Effie and Oliver, Mr Plumpton our Estates Manager and Head teacher Mrs Robinson attended the awards ceremony at The Royal Agricultural University in Cirencester to collect the amazing awards. The ‘Best School Farms Project 2018 was won in conjunction with Junior Pig Club for the work with rare breed pigs.